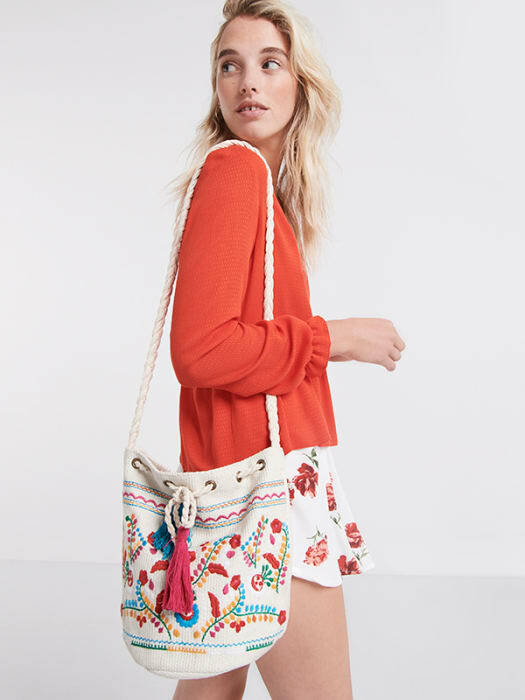 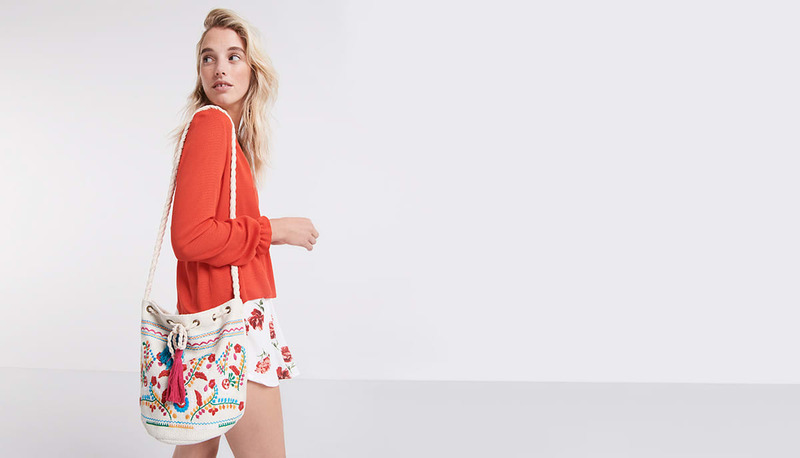 Add an instant talking-point to any look with this floral-motif drawstring bag. 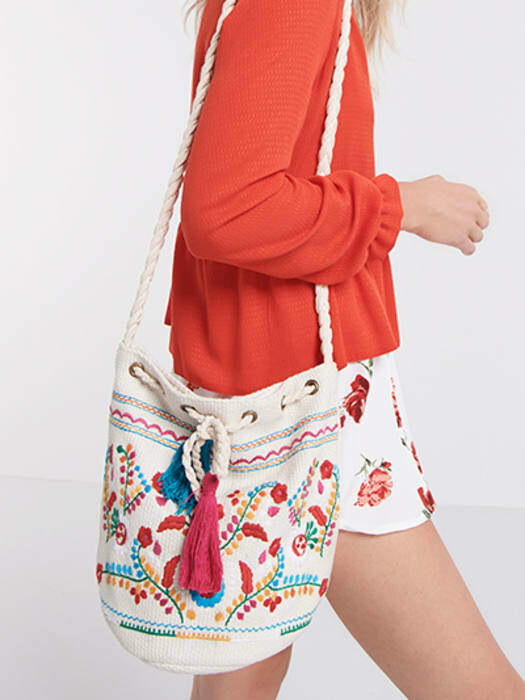 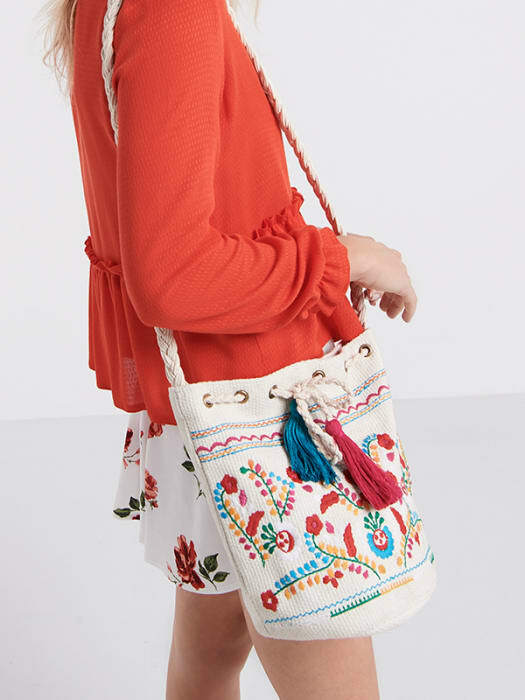 Patterned in folk-floral embroidery, the statement tassels provide noteworthy detail. 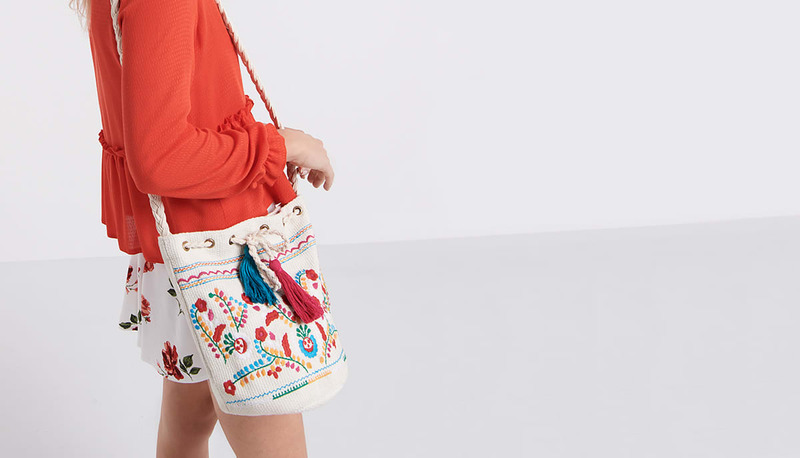 Ideal for daily use, work with a ditsy slip dress for print-on-print style points.